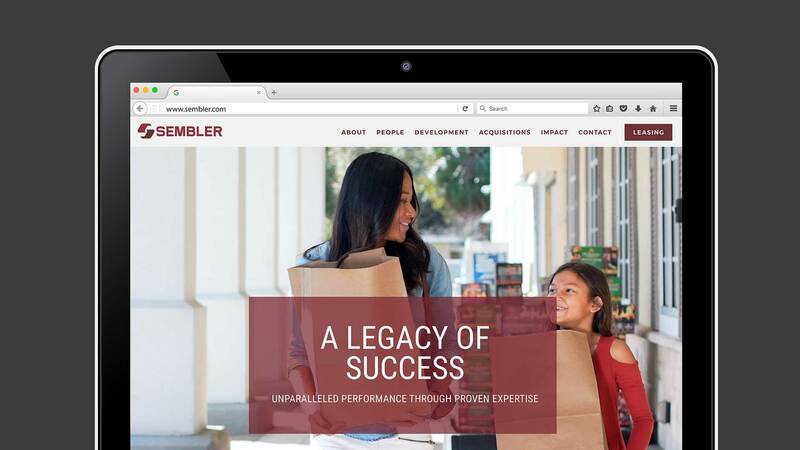 As the leading commercial developer in the Southeast, Sembler was in need of a more sophisticated digital presence to support their current retail tenants and promote new business opportunities. A repositioned brand strategy and refreshed visual identity, allowed for a dynamic digital experience to support their ever-growing business ambitions. Business Strategy, Competitive Analysis, Consumer Interviews, Brand Strategy (Proposition & Positioning, Tone of Voice) Website, Brand Video, Internal Branding (Business cards, Signage), Social, Brand Book.